The Tars sang yet again this year at the annual wassailing evening in Bere Ferrers. 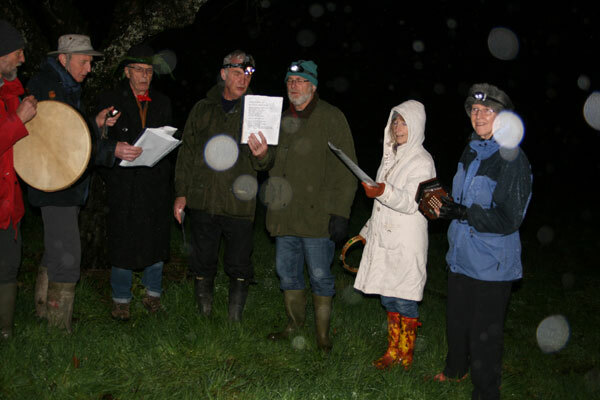 They sang in the local orchard whilst the deluge more or less paused and again back in the Church Hall. 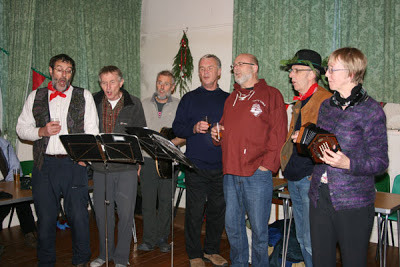 This was followed by pasties and mulled cider and a good time was had by all.